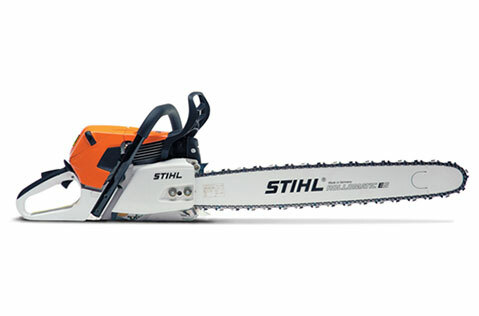 Powerful professional chainsaw with STIHL M-Tronic™ engine management system. 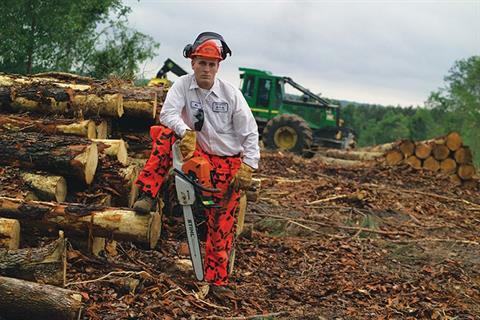 When most people think of STIHL, they think of a no-holds-barred, bulletproof professional chainsaw like the MS 441 C-M MAGNUM®. And for good reason. No chainsaw is designed like it. And no chainsaw performs like it. 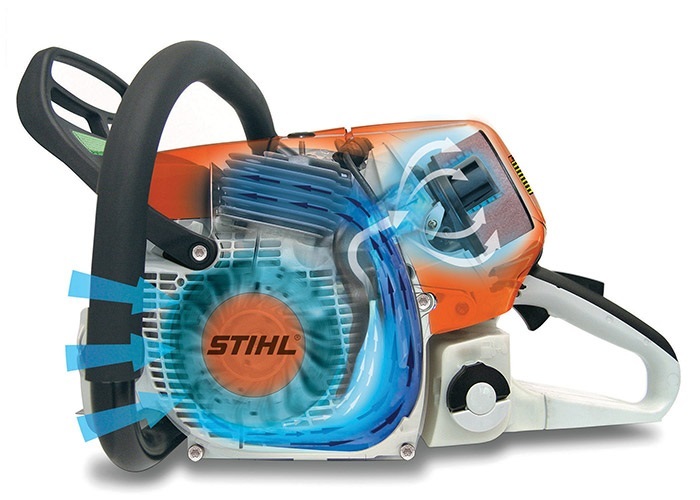 At the heart of the MS 441 C-M MAGNUM® engine is the STIHL M-Tronic™ engine management system that intelligently manages the operating performance of the engine. (The brains of the MS 441, if you will.) In the field, the M-Tronic™ automatically and constantly adjusts the fuel-air mixture, maintaining maximum operating efficiency under varying conditions like altitude, outside temperature, a dirty air filter or poor fuel quality. The STIHL M-Tronic™ system compensates for these factors by replacing low and high-speed carburetor adjustment screws (old technology) with electronic monitoring of the engine’s performance and digitally optimizing the fuel/air mixture over the entire RPM range (new technology). This intelligent operating system also provides a simplified warm start procedure, and a decompression valve for easier starts. A highly versatile, state-of-the-industry saw for professional-level jobs, the innovations on the STIHL MS 441 C-M system work hard to make your toughest jobs easier.